I would like to thank the Danish Government for the kind invitation and for their leadership in organising today’s discussion. This conversation on digital trade and e-commerce concerns us all. The internet and new technologies are having a major impact on our lives – in ways we couldn’t have dreamed of just a few years ago. E-commerce is an increasingly important aspect of today’s economy. It offers opportunities to overcome some of the traditional obstacles to trade, including the costs associated with physical distance. This opens up unprecedented opportunities for businesses to engage in cross-border trade. And of course it’s not just about the connectivity gap. Engagement has been very high so far, and members’ hard work has started to bear fruit. 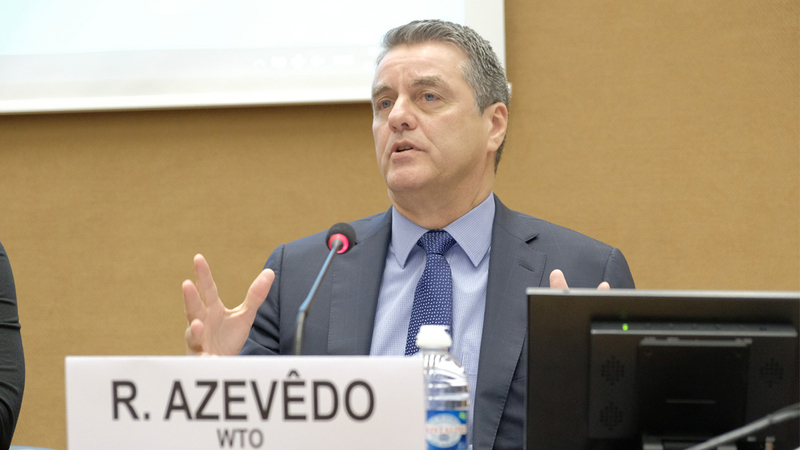 Earlier this year, 76 WTO members announced their intention to launch negotiations on trade-related aspects of e‑commerce. Reaching this balance will require an ongoing dialogue between different actors to gather their perspectives and expertise. This needs to be a collaborative effort, bringing together governments, labour, consumers and business – big and small, from developed and developing countries alike. At the WTO, we are stepping up our engagement with the wider trade community in a number of ways. We have the annual Public Forum, for example. And we have our Trade Dialogues initiative, providing a regular way for different constituencies to bring to the fore the issues that matter most to them. We shouldn’t be afraid of different perspectives – all are welcome, whatever they may be. Via these platforms we are helping businesses, consumers, academics, labour representatives and any other constituency that wants to do so to present their concerns and ideas to WTO members. Today’s meeting is another important step in that direction. We will have the chance to hear from a broad range of stakeholders, including international organizations, government, private sector and consumer organizations. So I hope that today’s discussions can help to guide this work and inspire further progress in all of the initiatives that I’ve mentioned today.